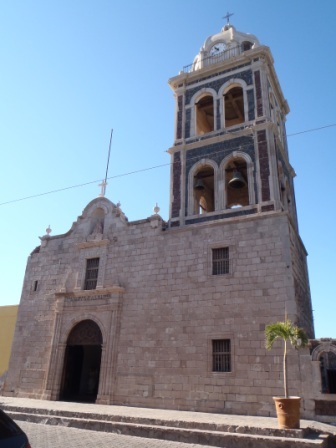 Mexico: The Bahia – Loreto & San Ignacio ( 28th February to 3rd March) | I should have turned left! 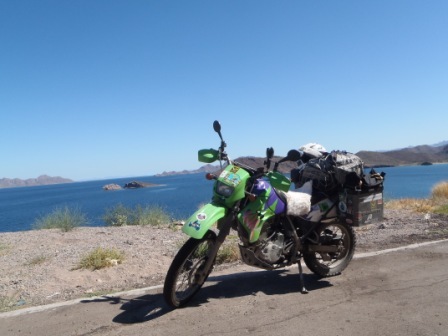 Heading out of La Paz north to Loreto the one thing in no short supply were bikers. Every few kms I came across a group of bikers usually Harley riders in groups of 6 to 12, but a few single riders or couples. It was fantastic, obviously all friendly and happy to see a single female riders travelling through Mexico. 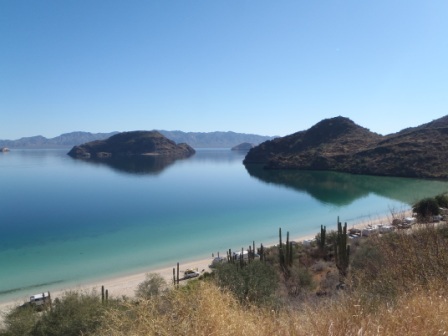 I subsequently found out that there is a huge bike meet up in Cabo next week, sadly I do not have time to go as that would have been fun especially as I am missing out on Daytona bike week … just not enough time to do all the things I want to do. Other than the riders and more street dogs that I desperately wanted to adopt the ride was easy, uneventful but with some great views. 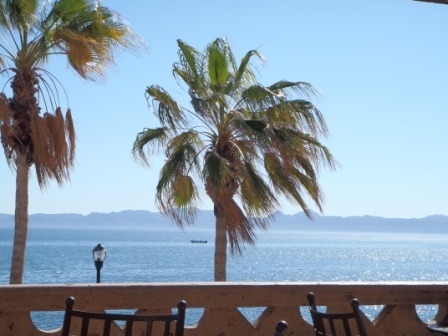 Loreto is a nice seaside town, very picturesque and I just chilled for 2 days. I am not much of a sea beach person I am definitely more a mountain person, however there is something about the ocean that is just very calming. I just wanted to spend some time at the beach simply being. It was so nice to walk along the beach and watch the pelicans fishing, I am really getting into pelicans I thing they are just lovely. 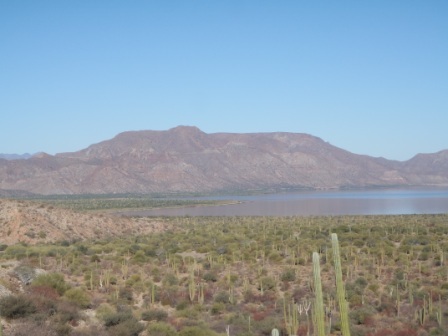 I also spotted a couple of woodpeckers, and a road runner on the road going into Loreto that was cute. 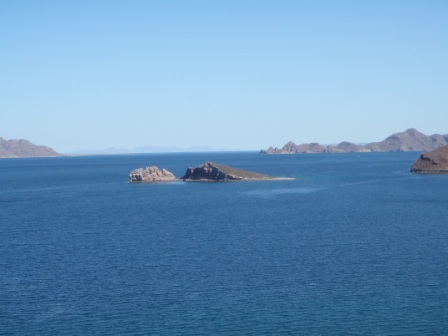 After Loreto I headed across to the west coast to San Ignacio to see the whales. 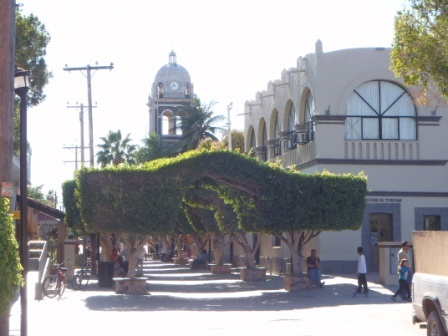 I had another nice ride to San Ignacio which is a tiny quaint town. 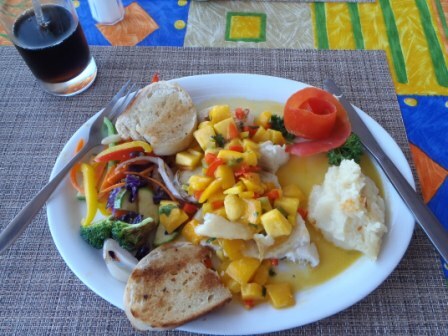 I am really taking it easy on the Bahia, relaxing, and enjoying my riding. 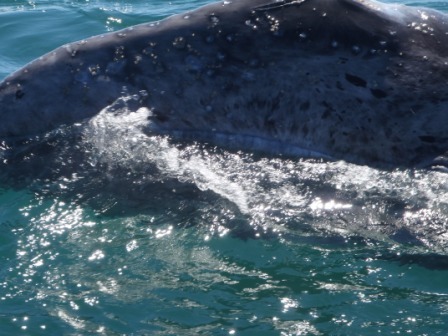 I met a really nice group of Americans who come to Bahia every year to see the whales and were staying in the same hotel. I joined them on the whale tour and WOW I never guessed it would be as good as it was. 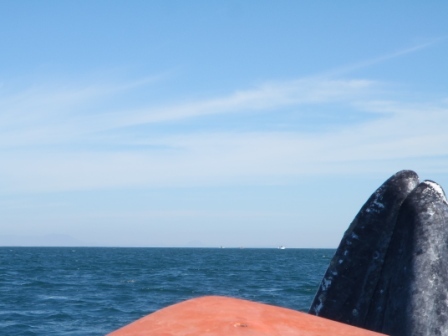 I thought I’d see whales well… I Touched a Whale and it was awesome. 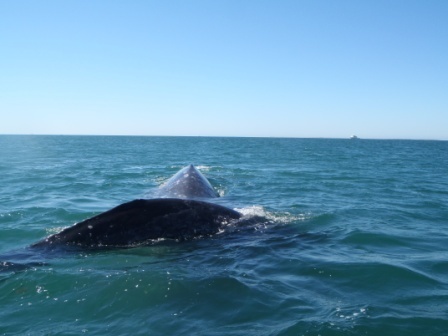 The humpback whales come to San Ignacio every year to calve, there were 300 whales in the bay with calves. The area is a marine reserve and the wardens limit the number of boats on the water. You are only allowed in the bay for 1.5 hrs, and no swimming. 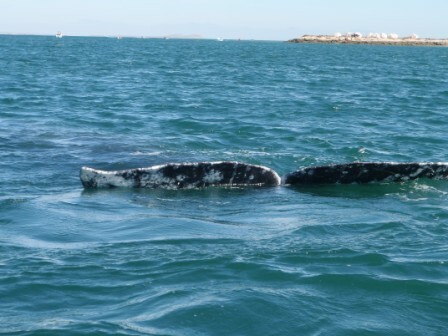 They also restrict the area the boats can go so if the whales do not want to interact they just swim away. It is the calves that come to the boats to check us out, but the mothers will also push them up to see us … or perhaps to show off their beautiful babies. They stay in the bay for 4 months while the calves get big and strong and then head north to the arctic. It was just AWESOME to see them and get to touch them. 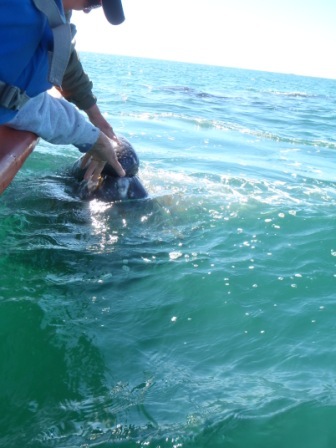 We were told that at this time they are less playful as the mothers now put the calves in training and literally swim laps up and down the lagoon to get them fit and ready for the big swim north. 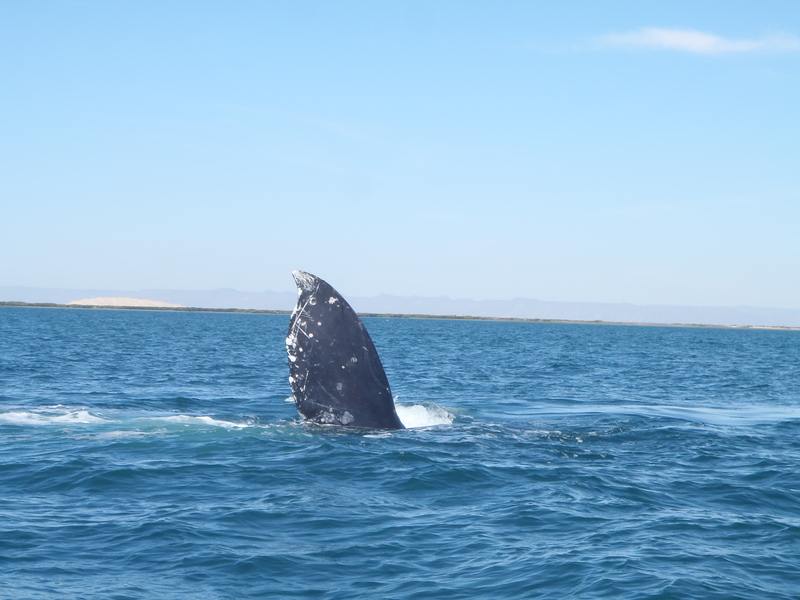 I could not have wished for a better experience, especially since I only found out about the whale watching when I was in Cabo, I had no idea this was the season to see them with calves, what a nice surprise.